It was never supposed to be like this. Back in May of 2010, I put together a WordPress site because the Tumblr I was using to collect my writing clips seemed ill-suited for longer, original work. My sole intention was to add one more seldom-read page to the blogosphere, to stake a claim on my little corner of the Internet. It just needed a name. Unwinnable. The name is the special sauce. The first person I tried it out on, Elise Vogel, the former managing editor of Crispy Gamer, said, “Holy cow. Best blog name ever.” I should have known right then that my intentions had de-synched from reality. Nearly four years, 170 contributors and 2,190 stories later, I think it is safe to say Unwinnable has grown into something vast and special. Those 170 contributors are some of the best cultural critics working today. The 2,190 story archive is brimming with tales that range from hilarious to heart-rending. Not to mention the games, podcasts, comics, mixtapes, videos and other craziness. All of this never ceases to surprise me. I hesitate to call Unwinnable a success. From the start, the site was built with a philosophy that is the exact opposite of conventional Internet wisdom. We’ve never taken entertainment news coverage seriously, I’d rather take a bullet than run click-bait lists to inflate traffic and our headlines hew more literary than SEO-friendly. The stories run long and are almost pathologically earnest and challenging. And, because none of that is a recipe for riches in the digital age, the majority of the work that has gone in to Unwinnable has been unpaid. We are a small army of volunteers. All that is fine when you have a day job, but the thing about passion projects is that you want them to be your day job. A site like Unwinnable needs the undivided attention for it to grow into its own. But to do that, you need money, which you get from jobs, which in turn distract from the Great Work. It is a vicious cycle whose products are depression and stagnation. And so Unwinnable oscillated between those two dire poles from June through December of last year. People tell me this is a widespread problem in Internet publishing. I was pretty sure the solution was to shut it all down and get a job at a gas station. Unwinnable editor Steve Haske had a better idea, though. 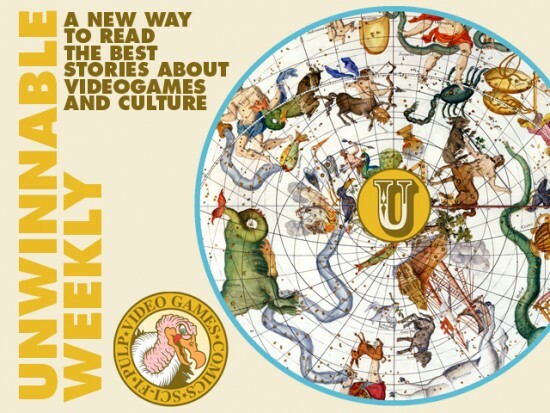 Today, it is a great pleasure to finally announce Unwinnable Weekly, a subscription-driven digital magazine. Every issue will feature five stories from the voices that have made Unwinnable great, along with special guest writers, all wrapped up in a snazzy magazine layout designed by yours truly, for the low price of $3.50 a month or $35 a year. And that small subscription fee ensures that everyone gets paid for their work. There’s more, too, but I’ll fill you in on that down the line. Right now, the most important thing is that we are kicking off the subscription drive with a Kickstarter. Putting together the rewards for the campaign was an exercise in daily awe. We have some amazing friends contributing amazing goodies – I would list some here but I don’t even know where to start ­- and we already have some more to add in a couple of days. Seriously, go check it out. The biggest lesson for me, over the years working on Unwinnable, is that I am not alone. The site started as just my silly little blog but became a home for some of the best writers and editors in the biz. And the list keeps growing. That’s the funny thing – there’s always someone else out there to meet. You, for instance, Dear Reader. 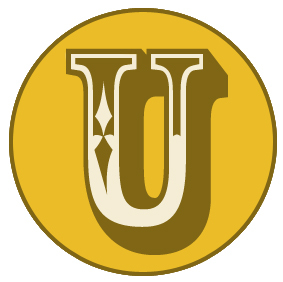 Come on in, share our stories and join Team Unwinnable. For more information, check out the official press release and, of course, the Kickstarter page itself. To get an idea of what Unwinnable Weekly will be like, download Issue Zero, a collection of reprints of classic Unwinnable stories. And, if you are in the Bay area for GDC, come down to the Hi-Tide Lounge tonight to celebrate with Team Unwinnable!